The Yiwu Wholesale Market is the largest in the world. Here, you’ll find thousands of Wholesaler offering all sorts of products at rock bottom prices. In this article, I will explain the 13 things that every buyer must know before visiting the Yiwu Wholesale Markets, in Zhejiang province. What is the Yiwu Wholesale Market? Do I need a visa to visit Yiwu? Do I need to find an agent? Are Yiwu Wholesalers manufacturers or traders? How do I know that the products are not fake? How do I pay the wholesalers in Yiwu? How do I coordinate the shipment? Do I need a translator to talk to the Wholesalers? When is the Yiwu Fair held? How do I get to the Yiwu Fair? What kind of products can I find at the Yiwu Fair? How do I get an invitation letter? How do I get a trade badge? What is the difference between the Yiwu Fair and the Yiwu Wholesale Market? 1. What is the Yiwu Wholesale Market? There are in fact many wholesale markets in Yiwu city. Yiwu International Trade City is, however, the largest market – and often referred to when talking about the Yiwu Wholesale Market. Unlike the Canton Fair in Guangzhou, the Yiwu International Trade City is permanent, and open the whole year, apart from national holidays. The Yiwu Wholesale Market is gigantic, and mainly catering to buyers from India, Africa, and the Middle East. Many e-commerce businesses also procure products from Yiwu wholesalers. It’s famous for really low prices. Then again, you get what you pay for. Yiwu is famous for its traders and they are in general quite friendly towards small buyers. If you want to find “off shelf” products ready to purchase in fairly small quantities from China, then this is the place. While Yiwu is not a one-stop solution for every product (I’ll get to that in a bit), it can be perfect as a destination to purchase products such as watches, accessories, textiles, and bags. A Yiwu based supplier can also act as a complement to your existing suppliers in China. Many small businesses, especially e-commerce companies, are in dire need of filler products to not make their stores empty. That’s one example of when Yiwu might be well worth a visit. There are no international flights heading to Yiwu. The easiest way to get here is by flying to Shanghai and then take the high-speed train. It takes roughly 2.5 hours and the train tickets can be purchased at the Hongqiao railway station. While in Yiwu, there are a number of hotels in various price ranges. Go to Motel 168 if you’re on a low budget. If you want something more upscale, then you might want to consider the Crowne Plaza or the Tian Heng International Hotel. Getting around in Yiwu is quite easy. There are taxis, but don’t expect them to understand a single word of English or any other language than Chinese. If you’ve hired a Yiwu agent, it’s customary that they pick you up and drive you around to visit various wholesalers. 4. Do I need a visa to visit Yiwu? Yiwu is located in Mainland China, where most nationalities need a visa. The only two cities that don’t require visas are Hong Kong S.A.R (90 days) and Shenzhen (5 days). You can either apply for a business visa or tourist visa at your local Chinese embassy or consulate. It’s easy to obtain a visa but requires that you plan ahead. 5. Do I need to find an agent? It’s one thing to find a supplier with interesting products. It’s a completely different thing to negotiate prices, settle the payment and ship the products back home. This is when an Yiwu agent might make sense. An Yiwu agent acts as your purchasing manager and accompanies you while visiting suppliers. After you’ve made a product selection and decided the quantity of your purchase, the Yiwu agent coordinates the procurement process and makes sure that all the cargo is collected in one single shipment. This is especially important when buying from multiple suppliers since several small shipments can cost a lot more than one large shipment. Apart from that, an Yiwu agent should also ensure that the wholesalers provide you with the right products and in the right quantity. This is not as obvious as it might seem to certain Chinese wholesalers. Most Yiwu agents work on a commission rate. This means that they charge a percentage based on the order value. This usually ranges from 2 to 8%, depending on your order value. For natural reasons, the commission as a percentage is smaller the more you buy. Now, keep in mind that that the agent’s role is only to negotiate the price and administer the order terms. It’s up to you to verify that the products match your quality requirements, safety standards and labeling requirements in your market. 6. Are Yiwu Wholesalers manufacturers or traders? Most Wholesalers are not manufacturers, but trading companies that cooperate with factories in Zhejiang and Jiangsu province. That may not be an issue, but remember that they may not have the products in stock, but must first place an order with the manufacturer. 7. How do I make sure I get the right quality? As always when importing products from China, you need to be very clear when you communicate your quality requirements. 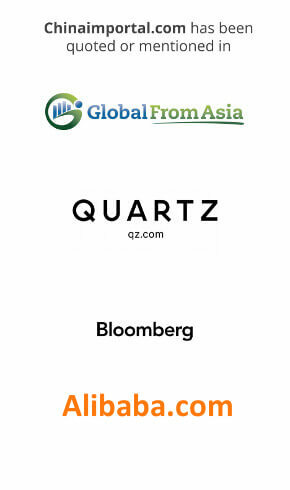 As mentioned in this podcast by Global from Asia, Yiwu wholesalers can match any target price – but will adjust the quality accordingly. As such, you should be cautious when price haggling, as the supplier may accept your target price, but use cheap and low-quality materials and components without telling you. 8. How do I know that the products are not fake? For obvious reasons, you cannot buy brand name products from an Yiwu Wholesaler. International brands would never work with such vendors, and any brand name products you may find are not authentic. That said, the Yiwu Wholesale Market is not a fake goods market. While some shady transactions might take place in this huge complex, selling fakes is not encouraged or allowed. But, intellectual property goes beyond brand names and logos. What if the product is similar in design, compared to another, more well known, product? 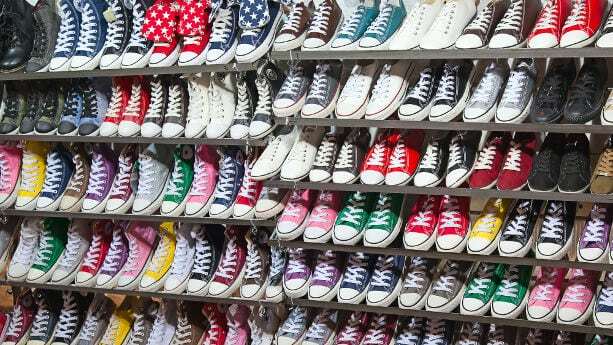 Take the Converse looking shoes in the article image for example. An assessment must be made on a case to case basis, but make sure to avoid product designs that look very similar to those of established brands. 9. Can I trust that the suppliers know how to comply with safety standards and regulations in my country? As said, most Yiwu Wholesalers export their products to buyers in India, Africa, and the Middle East. Hence, they have little to no incentive to develop a deep understanding of product regulations and safety standards in the developed markets, such as the US, EU or Australia. The truth is that most suppliers are not even aware of overseas product regulations, and many products cannot even pass lab testing. Keep in mind that the wholesalers will not warn you about possible regulatory issues. You will only find out once it’s too late. Importing non-compliant products is illegal, and you will be held liable if somebody is injured by the product, or if their property is damaged. Further, the customs in your country can seize and destroy the shipment, if it’s deemed to violate local product safety standards or labeling requirements. 10. How do I pay the wholesalers in Yiwu? If you buy directly from the Wholesaler, you can wire the money to their bank account. You should at all times refuse to pay in cash, or to private bank accounts. Only pay to business bank accounts whose beneficiary name is matching that of the wholesalers. It’s critical that the payment can be traced to the correct seller. If you on the other hand work with a Buying Agent, you will pay them, rather than each individual Wholesaler. The same rules apply here. Only pay directly to their company account. Keep in mind that you should not pay the supplier in full until you have inspected the finished products. Many Yiwu wholesalers aren’t even proper wholesalers. Instead, they take orders from foreign buyers back to their factories and deliver them a month or two later. At this point, you might already be out of the country. You must always, without exception, get your products quality inspected before paying your supplier in full. 11. What can I do if I get into a dispute with the wholesaler? That depends on whether you hold the money or not. If you have already paid the wholesaler in full, and you find quality issues, you will have a very hard time getting your money back – or even replacement products. 12. How do I coordinate the shipment? You can either use a commission agent to manage the shipment for you or work directly with a freight forwarder. 13. Can I ship goods from multiple wholesalers in one container? Indeed. You can either ask your Yiwu agent to coordinate this for you or make sure that you buy according to FOB (Free on Board) terms from each supplier. You should then instruct each one to order transportation to your freight forwarders local office in Shanghai. From here, they can pack all the goods in one container, and delivery it according to DAP (Delivered at Place) or DDP (Delivery Duty Paid) terms. 14. Do I need a translator to talk to the Wholesalers? Yes, most suppliers at the Yiwu Wholesale Market don’t command more than very basic English. You will save plenty of time if you have a translator by your side when asking about prices, quality options, and order terms. There are many translation and interpretation companies located in Yiwu, so you should not have a hard time finding one. The Yiwu Fair is one of the largest trade shows in eastern China. 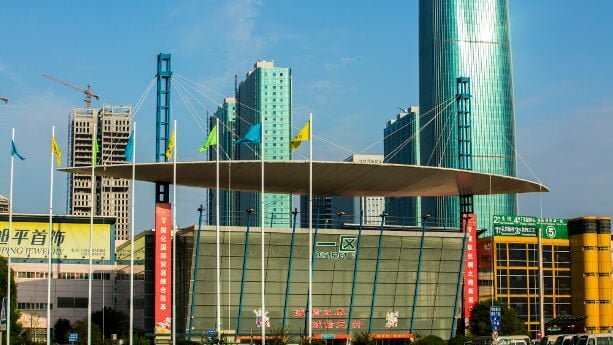 Located just two hours by train from Shanghai, the Yiwu Fair has suppliers in virtually all product categories, including electronics, textiles, children’s products and more. In this article, you will learn how to get to the venue, how to obtain an invitation letter and get free admission by getting your trade badge in time. In addition, I will also explain why you should consider hiring an interpreter, before arriving in Yiwu. The Yiwu Fair, or China Yiwu International Commodities Fair as it’s officially called, is held yearly in Yiwu City, Zhejiang province. Since 1995, the Yiwu fair has been held twice per year, in May and October. The Yiwu Fair is held in the Yiwu International Expo Center (义乌国际博览中心). There are few, if any, international flights to Yiwu. Instead, you can either fly to Shanghai or Hangzhou and take the high-speed train to Yiwu. It will take you 1.5 to 3 hours, depending on where you get on the train. Despite being a fairly small city (at least by Chinese standards), there are plenty of international hotels in the city. You can take a taxi directly from the train station, but keep in mind that local taxi drivers don’t understand English. Make sure that you print out your hotel address before you arrive. Do I need a visa to attend the Yiwu Fair? Yes. Most foreign visitors to Mainland China must obtain a visa prior arrival. The easiest way to obtain a visa for the Yiwu Fair is by requesting an invitation letter directly from the official website. The invitation letter is provided free of charge, and can then be used to apply for a business visa at your local Chinese consulate or embassy. Luckily, it’s not as complicated as it may sound. It’s generally very easy to obtain a business visa as long as you apply for the invitation letter a few weeks in advance. Keep in mind that it will take at least 3 to 4 working days to process the visa, so don’t delay your application. Notice that the visa itself is only required for entering Mainland China. If you are already in China, you don’t need to obtain a new visa for the sake of visiting the Yiwu Fair. Further, you can choose to obtain a business visa using any other channel, such as an invitation letter from your supplier, rather than requesting one from the fair organizers. That said, many first time buyers who are interested in attending the Yiwu Fair don’t have an existing supplier network, and should, therefore, contact the fair organizers to secure an invitation letter, and then apply for a visa in their home country. You can apply for an invitation letter directly via the official China Yiwu International Commodities Fair website. Once filled in, you send the file by email. The invitation letter will then be sent by post. Notice that this process can take a few weeks. A Trade Badge is required to enter the Yiwu Fair. You can either apply online, to get a free trade badge. This badge is then collected on site, once you arrive. You can also show up unannounced, but then you must bring your passport. You may also need to pay a small fee. I recommend that you take the time to pre-register. Do I need a translator to visit the Yiwu Fair? A fairly large percentage of the sales staff attending the Yiwu Fair can communicate in English. However, expect their English proficiency to be limited, and some suppliers don’t have English speaking staff at all. You can hire translators via the fair organizers, or find a local interpreter on your own. There are plenty of companies offering translation and interpretation services in Yiwu, given that it’s one of the most active trade centers in China. There are in fact many wholesale markets in Yiwu, including the Yiwu International Trade City which is an all year round market. The Yiwu fair, on the other hand, is only held on certain dates and attracts both manufacturers and trading companies from Zhejiang and other provinces. Hence, the Yiwu fair is to be compared to the Canton Fair or Global Sources China Sourcing Fair, rather than the Yiwu Wholesale Market. We are very happy to hear that. Starting last week, we are now publishing two articles per week instead of one. If you have suggestions for topics that you want us to write about, feel free to get in touch with us. I’ve just found your website and it’s amazing! So much useful information on one web site, it feels like your wrote every single article specifically for my needs :). Thank you so much and keep up the great work! hi,I am looking for a wholesale in ladies and kids ( 1-13 years) aplica Branded clothes.do please guide me . I’ll send you an email with more information. We are interested in buying stock of fashion jewelries…stock Area. Could you let us know your conditions? hi dear i am struggling to get items as she in yiwu can you assist? I suggest you contact Jingsourcing.com. They are based in Yiwu and may be able to help you. Hello, there i will be visiting china next month can you please let me know if this market would be appropriate for everything. That depends. In which country are you based? your blog is really very useful & easily understandable keep posting updated info about it , i am frm India & looking to buy bags is it goof=d to visit this city & one more thing I am strict vegetarian shall I find any pure Veg Resturant in thi city ? I am an independent wholesaler & currently making plans to go to china to shop for items. Would like to know more on where to shop & guidance in this matter. I’m currently residing in malaysia. I am in the airline family so I get rebates on my cargo or freight. My concern is how to start sourcing for a right supplier. I currently residing in Nigeria Lagos,I’m a independent whole-seller and i need more information about gift and house hold utensils E.g..glass, wine cup,stainless steel pedal bin,vases,toys,mugs,flat plate,bowls..ETc..pls guide me on these and send me more information about it…My concern is how to start sourcing for a right supplier. Hi, I want to buy western export quality party supplies but in small lots, like 50 to 100 sets per design. I know Yiwu has few factories in the area manufacturing party supplies but I want to start small and also want high quality. Can you please guide if it is possible and who to contact. Products available at Chinese wholesalers are usually made for the Chinese market. The quality is often questionable, but that depends on what you mean with western export quality. Looking for good quality artificial/silk flower and plan to do some surveying where can I go. Already start business in small scale plan to expand business look for good price and quality. We are a wholesale Company from Denmark looking for an agent WHO Can show us wholesale market and factories within home decoration in Guangzhou area saturday 25 October. Please contact us with your service and rates at mail.dk|in-style. I am planning to visit Canton Fair in April for having a look at the party supplies booths. Do you think its a good idea to visit Canton, since I need to buy small qty like 100 pcs per item. I was suggested to visit Yiwu for smaller quantities, so what do you suggest. 3. How do I find an agent in Yiwu?Since If I come to China, I would surely need an agent. 4.When is the best time to visit Yiwu commodity wholesale market? Will April be a good time after the Canton Fair? I just discovered you :) What a pleasant find and an awesome start to my day! Your article is great, thank you for sharing this information. 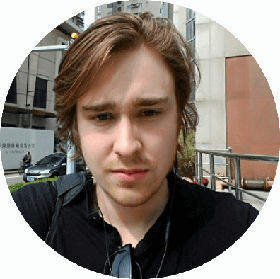 Fredrik, I am interested in knowing more about product manufacture. I would like to know what this procedure entail and then also what the importing aspects are. I’m glad to hear that! Subscribe to our newsletter and get weekly updates directly in your inbox. I just discovered you :) I love your articles they are very helpful, thank you for sharing this information. Fredrik, I was hopping you can help me out a little bit. Im currently based in the Middle East and running an onling FB page, im moving to the states and i want to create an online shopping website and focus it on the Middle East region. Im searching for a reliable wholesaler/supplier that can deliver good quality. 1- I would like to find a reliable agent that I can send photos of things I need and they source them for me. 2- Supplier of replica Shoes & bags. I am looking for ladies and kids clothing. Is there any way you can provide me with the catalogues and price? You can email me at tsp.garment@gmail.com. Returning goods to China is generally not an option. Hi, I love ur articles, am looking for clients who can supply small quantity wholesale female fashion and accessories. And please will I be able to get small quantity of goods at Yiwu? We will contact you by email! hii i am looking for a direct factoey sale of melamine kitchen items. Please guide me. I am looking for plus size tees and bags for men and women. Can you help me? How do I find a sourcing agent in Yiwiu? Hi I’m looking for handbags from yiwu market could you send me some repute able sourcing agent recommendations. Am planning a visit next year for business purpose (wholesale shopping). i already have a business whereby i deal in fake/imitation jewelleries and other ladies ornaments like hair clips/hair bands etc etc. can i get a price list of such items in order to plan my visit accordingly. I usually buy in Guangzhou but i want to see what YIWU has to offer me in terms of better price. I’ve booked myself a trip over to Shanghai at the end of February/start of March (2017) and also booked myself in at a hotel in Yiwu. I have a general idea of the types of items I’m looking to bring over to Canada but was hoping to get some more details from you if possible. Could we chat by email? we are looking for house decoration items, gifts, wall clocks and paintings. Can you suggest suppliers for small quantities ? i usually import mixed 20ft container at a time with different codes. I would like to buy powerbank, head set, pendrive and some other electronic items in small quantity. without visiting yiwu market, how can i buy these product with out any risk. To which country do you plan to import these items? We are interested in importing oem watches do you have any suppliers please. Hi I’m looking for kids, mens and ladies shoes from yiwu market could you send me some repute able sourcing agent recommendations. I am going to china in April to canton fair how far is the yiwu from there? what’s the best form of transportation? the fast rail? also do the wholesalers normally give you the same qulaity product you ordered if you specify what quality you want? Yiwu is a 2 hour flight north of Guangzhou, or 11-12 hours by high speed train. Wholesalers cannot customize products based on your specifications, as they trade in ready-made goods. I enjoy your writing style. I am into event management and styling, do we have genuine suppliers for flowers, vases and decor props in Yiwu? If there are, could you please link me up? And again, how can i legally take a company up as the company never delivered as to the quality, of what i paid for? Want to import ladies outfits, dresses, wedding gowns , mens jeans, shirts and casual shoes, watches , bags from yiwu without coming there .Importing them to South Africa. Is that possible and how do i go about it.